"The civil wars in England, Scotland and Ireland in the period 1638-1653 are usually viewed from the perspective of land warfare. This book, on the other hand, presents a comprehensive overview of the wars from a maritime perspective. It considers the structure, organisation and manning of the parliamentarian, royalist, and Irish confederate navies, discussing how these changed over the course of the wars. 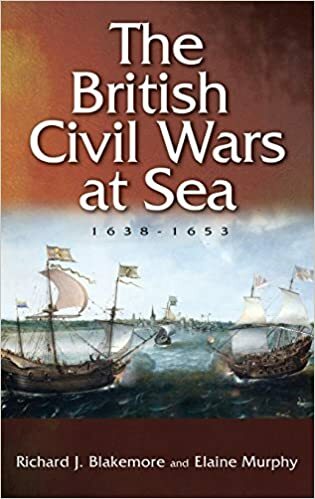 It also traces the development of the wars at sea, showing that the initial opting for parliament by seamen and officers in 1642 was a crucial development, as was the mutiny and defection of part of the parliamentarian navy in 1648. Moving beyond this it examines the nature of maritime warfare, including coastal sieges, the securing of major ports for parliament, the attempts by royalists to ship arms and other supplies from continental Europe, commerce raiding, and the transportation of armies and their supporters in the invasions of Scotland and Ireland. Overall the book demonstrates that the war at sea was an integral and important part of these dramatic conflicts." £65.00 GBP in UK so will have to brace myself before hitting the 'buy' key. Well, you can save £15.00 GBP by buying a new copy rather than a secondhand one!